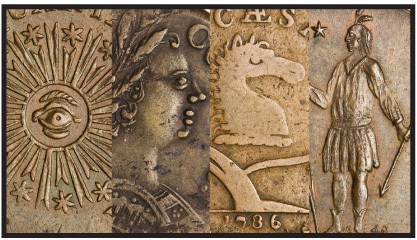 The Journal of Early American Numismatics (JEAN) is a new research journal based on the former Colonial Newsletter (CNL) dedicated to the study of early American numismatics. Founded in 1960, CNL continuously published some of the most scholarly and seminal studies in this area of numismatics. Focusing on the study of the coinages produced by the states during the Confederation period of the United States, CNL also investigated a variety of other specie that the U.S.’s forefathers used in their daily lives. JEAN expands the focus of CNL with contributions on numismatics of all of the Americas during the same time period covered by CNL, and is published as a bound scholarly journal twice a year in June and December. Submit proposals for articles to editor Christopher McDowell. Please note that JEAN has a zero-tolerance policy for plagiarism, and will not publish articles that include items currently in (or currently being prepared for) commerce. CD of CNL 104 through the final issue in PDF format: The Colonial Newsletter (CNL) 104 through the final issue is now available on CD (in PDF format). $50.00 + shipping. The first set of four full-color plates with introductions and descriptive catalogs reprints the black-and-white plate set that appeared in the Colonial Newsletter 143 (August 2010). 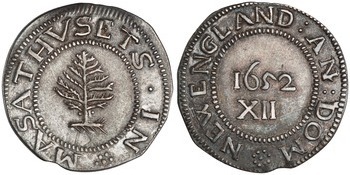 These include the first part of the ANS holdings of Vermont coppers (RR 2 to 8/Bressett 1-A to 6-E), Connecticut coppers (Miller 1-E to 3.4-F.2), New Jersey coppers (Maris 10-G to 13-J), and Massachusetts cents (Ryder 1-B to 3-G). Additional plate sets appear after each new issue of CNL. The proceeds from the sale of the color plates directly benefit the American Numismatic Society’s mission to catalog and publish its colonial coin collection. The CNL cumulative index is a detailed alphabetical key for all published issues. It consists of three sections: subject & author, illustrations, and a page/issue number conversion chart. The index is searchable by way of the software FIND command.